You might also be interested in Eight Ways To Build An Audience For Your Blog. This list a few resources that can help teachers (and others) who are either presently writing their own blogs or want to start doing so in the future. Vicki Davis has written How To Be An Incredible Blogger. You can’t go wrong by reading any of Sue Waters’ posts under two categories on The Edublogger site — Growing Blog Readership and Tips For Better Blogging. Her post, My First Five Tips For Writing Better Blog Posts, is a good place to start. Sue Waters has also written a great post titled “Here’s My Top Five Mistakes Made By New Bloggers — What Are Yours?” It’s worth a read, and, if you have a “mistake” to contribute, leave a comment on her post. 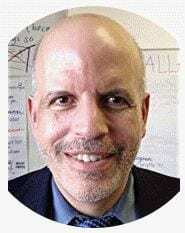 Mathew Needleman has a good post titled Advice For New Edubloggers. Sue Waters (again!) writes about her experience with the 31 Days To Being a Better Blogger Project and also helped create a wiki about it. 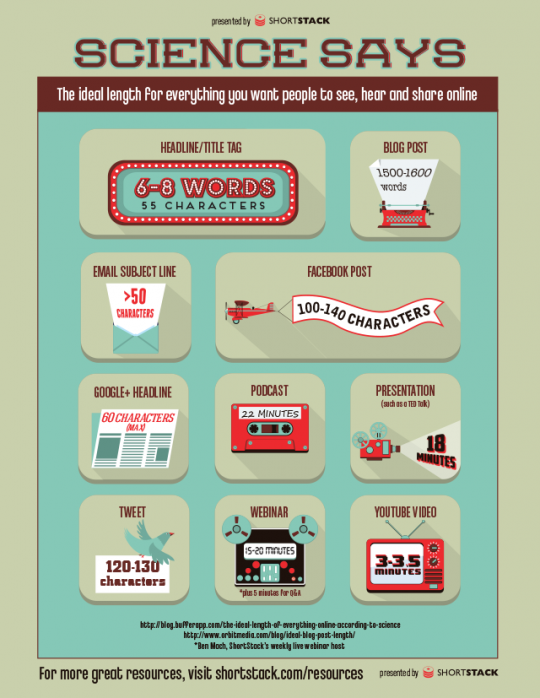 23 Essential Elements of Sharable Blog Posts is a good piece by Chris Brogan. 7 Steps to Building a Genuine Relationship With Your Readers is a great post offering advice to people writing blogs. It’s from ProBlogger. Karenne Sylvester has put together an incredible collection of ESL/EFL bloggers responding to the question What advice would you give to another TEFL teacher interested in becoming a blogger? Thirty-one teachers of English Language Learners responded. Trust me, you don’t want to miss this post. Protecting Your Email on Blogs by Sue Waters. She offers advice about the danger of robots picking up your email address from your blog. You might also want to read my post Some Advice For New ESL/EFL Bloggers. How To Be Heard is excellent advice from Stephen Downes. What you wanted to KNOW about blogging! is another great post by Sue Waters. How do I write so much, you ask? Well, glad you asked is the title of a blog post by Sebastian Marshall, and I think it’s worth reading by any blogger, or by any person who’s considering being a blogger. If you want to make excellent stuff, you need to make a lot of stuff. If you want to make a lot of stuff, you’ll make a lot of cr-p. If you want to make excellent stuff, you need to make a lot of cr-p.
And that’s okay, because you get judged by your best work, not your bad work. Bill Ferriter has just written an insightful post titled What Does Technorati’s State of the Blogosphere Report Mean for Education Bloggers? How to Increase Subscriptions and Put Your WordPress Blog on the Map has some good tips for any blogger. 8 Incredibly Simple Ways to Get More People to Read Your Content is a useful post from Copy Blogger. “The Edublogger’s Introduction to Blogging” is another winner from Sue Waters. 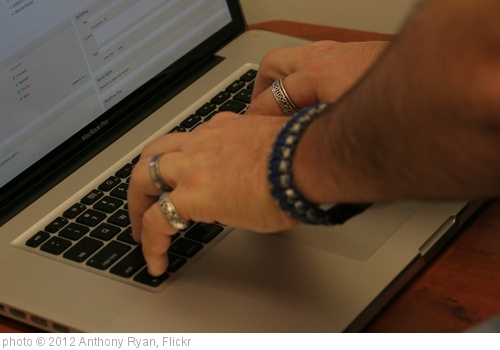 Are science blogs stuck in an echo chamber? Chamber? Chamber? comes from Discover. It focuses on science blogs, but the same questions it raises, and suggested strategies it offers, are very applicable to education bloggers. 10 Ways To Write Better Blog Posts comes from Wes Fryer. Ronnie Burt at Edublogs has just published what might be the very best guide for helping teachers begin to blog (and for helping veterans get even better) — The ultimate guide to getting started with blogging! Everything YOU should know about enhancing posts with images is another winner from Sue Waters. Sue Waters has done it again! Writing Better Blog Posts: What You NEED to Know is another “must-read” for anybody writing a blog or thinking of doing so. Want More Readers? How Online Reading Habits Are Changing and What You NEED To Know by Sue Waters is a must-read post by anyone who is interested in having people find and read the posts they are writing. 10 Things I Hate About You (As a Blogger) offers important advice to all bloggers. Thanks to Vicki Davis for the tip. 7 Keys to Blogging Awesomeness is from the HubSpot blog. Thanks to Mike Sansone for the tip. Anatomy of an Effective Blog Post is by Michael Hyatt. When’s the Best Time to Blog & ? is from Read Write Web. 10 Social Media Tips for Bloggers comes from Mashable. Sue Waters, the idol of and guru for edubloggers everywhere, has posted “The State of Educational Blogging in 2012” over at the Edublogger. It was a huge task to collect and analyze several hundred surveys, and Sue has done a masterful job and bringing it all together. If you are a blogger and/or thinking of having your students blog, Sue’s post is a must-read. A Short Guide to Terms Commonly Used in Blogging is from Richard Byrne. Learning through blogging is from Sue Waters. 7 Practices That Make You Look Like a Rookie Blogger is from Dukeo. Sue Waters has just published a very useful post over at The Edublogger titled The Top 10 Ways Blogs and WordPress Are Used in Schools. If you are a blogger, are considering starting a blog, or just want to learn more about blogging, that’s the post where you should start. Tips for Bloggers to Remember is by Doug Peterson. Not only were question headlines more effective than declarative headlines, self-referencing questions (such as those including “you” or “your”) were also found to generate higher readership than those without self-referencing cues. As regular readers know, I spend very little time and thought into writing the typically bland headlines in my blog posts. I just figure my reputation for useful content, and the content itself, will do the job of encouraging people to read it. However, I found this infographic from Short Stack pretty interesting, not so much because I’ll be using it to craft future headlines, but because I think it makes for an interesting part of a lesson on language in my IB Theory of Knowledge classes. Sue Waters and Edublogs have just published their annual, and always interesting, State of Educational Blogging. I Thought These Statistics Were Somewhat Interesting: How Do Visitors Find This Blog? As usual, it’s chock-full of interesting facts and resources. Richard Byrne has created a free Glossary of Blogging Terminology. I worry about teachers who blog is from the ICTEvangelist. 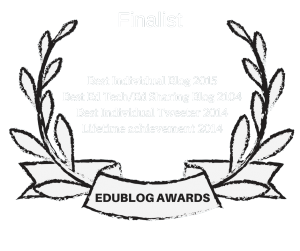 Edublogs is beginning a blogging club! Read about it at JOIN THE EDUBLOGS BLOGGING CLUB! WEEKLY PROMPTS DELIVERED TO YOUR EMAIL. Bill Ferriter has a nice post titled Three Tips for Novice Bloggers. 25+ Tools For Spicing Up Your Posts is from Sue Waters. Teachers: Finding Time to Blog is from The Edublogger. Learn About Blogging with our Free Courses for Teachers and Students is from The Edublogger. 50 Blog Topics And Prompts For Teachers is from The Edublogger. How To Embed Pinterest Boards And Pins On Your Blog is from Edublogger. ORGANIZE AND SPRING CLEAN YOUR BLOG IN 10 STEPS is from The Edublogger. BLOGGING ON THE GO, MOBILE APPS, AND A CHANGE is from Edublogs. 10 TIPS FOR MAKING YOUR BLOG POSTS EASIER TO READ is from The Edublogger. EASY TUTORIAL: HOW TO MAKE A NEW BLOG HEADER is from The Edublogger. THE TOP 10 WAYS BLOGS AND WORDPRESS ARE USED IN SCHOOLS is from The Edublogger. THE CURRENT STATE OF EDUCATIONAL BLOGGING 2017/2018 is from The Edublogger. UPDATED LIST: CHECK OUT THESE CLASS BLOGS! is from The Edublogger. SO YOU WANT TO START A TEACHER BLOG? is from The Edublogger. 10 WAYS TO INSTANTLY MAKE YOUR BLOG BETTER! is from The Edublogger. Copyright and Plagiarism in Blogging – What Can Be Done? is from Richard Byrne. A Guide to Blogging Terminology is from Richard Byrne. 5 WAYS TO SHARE AND MARKET YOUR TEACHER BLOG is from The Edublogger. RESOURCES TO INTRODUCE EDUBLOGS TO OTHERS is from The Edublogger. A PLAN FOR WRITING A WEEKLY BLOG POST IN 10 MINUTES A DAY is from The Edublogger. I’ve never really figured out how to use Google Analytics to learn about my blog’s statistics beyond the basics. Google has just published a guide on how to use it in case you want to learn more details. “Tips for writing a blogpost” http://englishinguiaintermedio.wordpress.com/2010/04/06/tips-for-writing-a-blogpost/. I also would like to invite you to visit my blog and even leave an opinion or comment if you want to. You can see the url above. I have recommended your blog post for Dr. Strange’s EDM310 class. You can view my write up here. I’ve learned so much from all of your wonderful posts. I am a new blogger and blog reader and have found so many of your posts helpful in making be both a better blogger and hopefully a better educator. 1. I have my summer reading all mapped out thanks to this post. 2. How in the world do you manage to teach (create lesson plans, grade papers, attend meetings, answer emails, etc.) while researching, reading, and writing such extensive posts for your blog? I’d love to know your secret! I am a mother of four and a middle school language arts teacher, and just reading, digesting, and acting on your information is a bit daunting. I had thought I was doing a reasonably good job up until now! Good heavens! Is sleep ever on your list of things to do? Thanks for the plethora of information. I will read it all this summer!